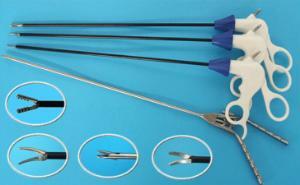 This kit includes all the components needed to provide hands-on experience. The transparent, hemispherical training dome itself simulates the human abdomen. 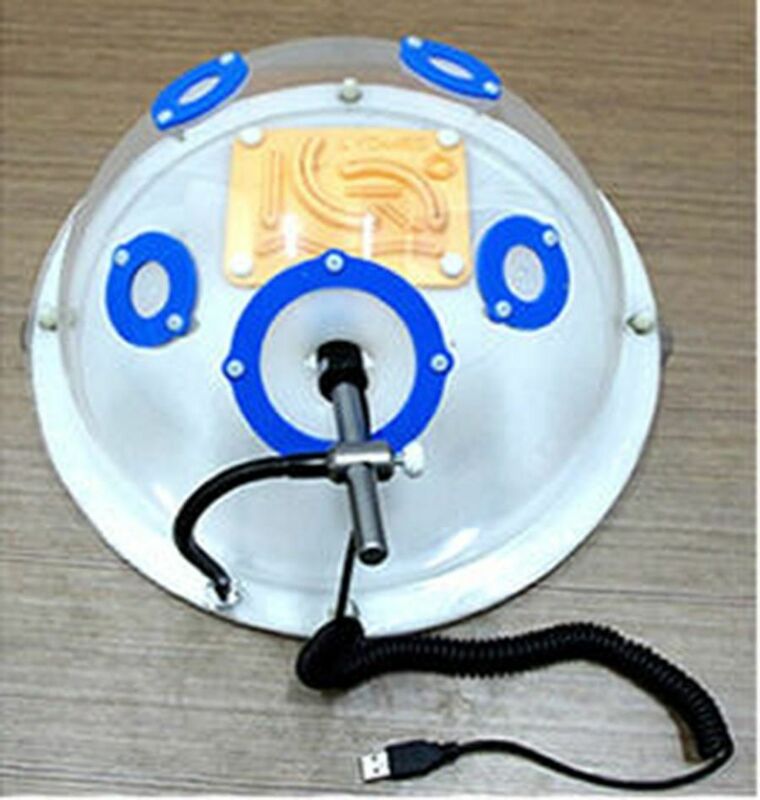 It has five silicone holes in it: one for the camera and four to be used as entrances for the training instruments. It comes preassembled and includes all the accessories needed to complete the modules. Accessories include suture threads, suture needles, hooks, and liquid paraffin to lubricate instruments and hooks before they enter the training dome. This training dome gives the camera free range of vision. The training camera has 300,000 dynamic pixels, can connect to a computer by USB, and has manual focusing available at the top of the camera. It works on Windows XP and higher but not on a Mac System. 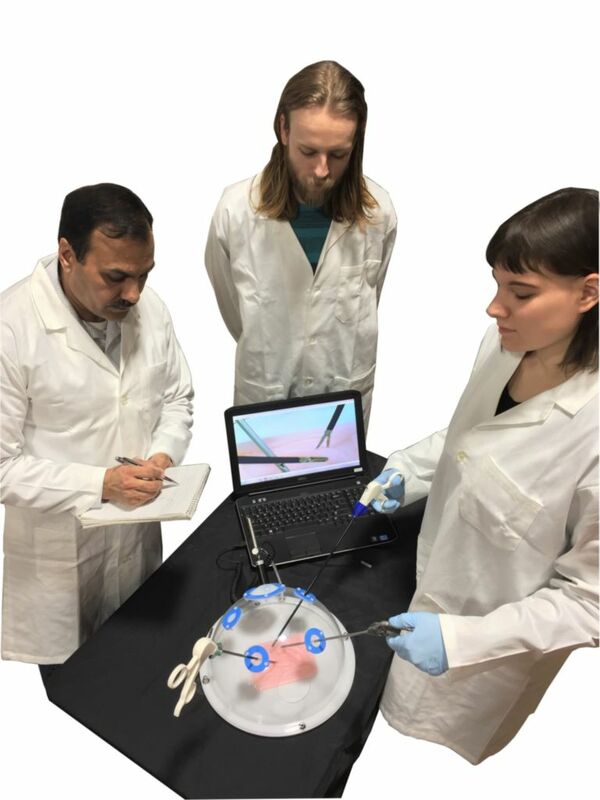 This laparoscopic simulator kit features four modules to simulate skills used during laparoscopic surgery: a suture module (A), a perforate module (B), a clamp module (C), and an anastomosis module (D). The four modules can be attached to the inside of the dome as necessary. To attach, screw the desired module base to the base of the dome using the four screws provided. 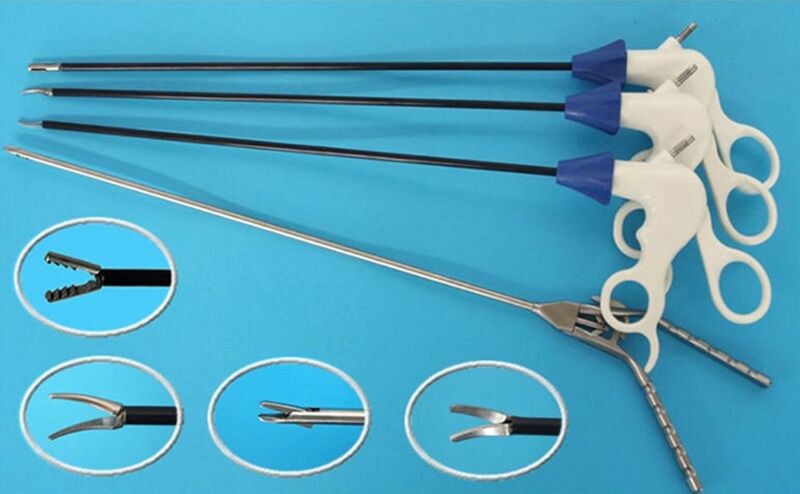 This kit includes a hemispherical laparoscopic simulator, camera with USB port, suture module (A1/A2), clamp module (B1/B2), perforate module (C1/C2), anastomosis module (D1/D2), laparoscopic needle holder, laparoscopic forceps, laparoscopic grasper, laparoscopic scissor, instructional did, suture thread, plastic clamp and T10, extra screw for dome, extra screw for module lock (inner dome), extra needles for suture module, extra clear suction cup for bottom of dome, and plastic clamp and liquid paraffin for lubricating instruments before use. 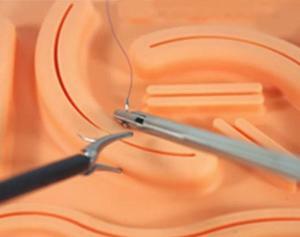 Caution: Sutures are intended for training use only and are not intended for human or animal use.